Hayley: I’m about to enter college as a transfer student, and I’m planning on majoring in Elementary Education. When I’m not writing for Redeemed Reader or studying for college, I work part-time as a tutor for our local charter school. I was home-schooled through high school, and I cannot remember a time that I have not loved books and reading. While I enjoy many different genres, Christian YA fiction is new territory for me. Abby: I am a freshman in college, and I am tentatively majoring in Economics with a minor in Chinese. I was home-schooled from fourth grade through high school, and I have always loved reading. While I have a lot of experience in young adult fiction, this book was my first foray into specifically Christian fiction. Joseph: I’m just beginning my senior year of college, finishing up my double major in History and Political Science. This year, I’m also serving as Student Body President for our school. Besides that I work two part time jobs, as well as working with Redeemed Reader. Before college, I was home-schooled my entire life. Because of this, I was immersed in books and writing from an early age. Like Hayley, however, Christian YA fiction is pretty new to me, though I’ve enjoyed my limited experience so far. Janie: Let’s start the discussion in the middle of a series. 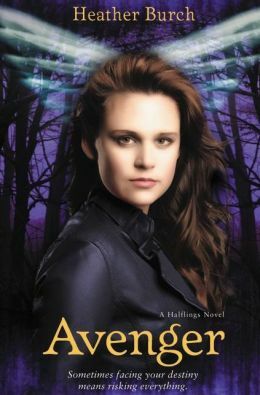 Halflings, by Heather Burch, was published in January of 2012 as the first volume of a paranormal romance series featuring half-human, half-angel characters, a demonic scientist, and armageddon-like confrontations. Guardians appeared in October 2012, and now we’re up to Avenger, published last March. There will be a fourth title in the Halflings series. Both of our readers picked up the series with Avenger and filled in the background for themselves. Abby, we’ll start with you. What were the strengths and weaknesses of Avengers, and what did you think of the Christian symbolism? Do you think a non-Christian would be interested in this story? Abby: Avenger never slows down. The action and movement is constant, and the story itself left me wanting to know more about the characters and their world. While the novel kept me interested, I also found myself wanting the author to take more time explaining both the world and the characters. Additionally, this novel centers around the final decision made by a girl caught in a love triangle, which keeps Nikki, a potentially deep character, one-dimensional. Non-Christians would definitely find this book interesting, especially since fantasy novels that mix angels, demons, and humans are so popular right now. The Christian symbolism is so mixed, however, that they might find it hard to pick out truth from fantasy. For example, in the book, the characters face an evil creature known as a Seeker, and they draw its existence from an obscure Scriptural reference. For people unfamiliar with the Bible and its right interpretation, this could easily be confusing and lead to wrong impressions about what the Bible really says. Janie: Hayley, what’s your opinion about strengths and weaknesses? Did you feel that the Christians references were uplifting or edifying? If you were reading it as a non-Christian, do you think any spiritual truths might get through to you? Hayley: Avenger’s strength is that, as a paranormal romance, it is tapping into a very popular market with a ready-made audience. The story itself is relatively fast-paced and the “world” of Halflings is interesting. That said, its weakness is that the characters are not very developed and rather stereotypical while the romantic angle itself is quite kitsch and often a bit too sensual. I think the Christian references were at times engaging for a non-Christian though not always edifying, particularly in the portrayal of Jesus and Heaven. There are some good discussions about prayer, and the Christians whom Nikki encounters are people with a quiet, firm conviction of truth that can be quite intriguing. Avengers raises enough spiritual issues that it might send some readers to the Bible to look for angels. Hopefully they will not only find angels, but also the Savior whom Avenger is pointing toward. Abby: I have to agree that the portrayal of prayer and the quiet faith of the humans we meet in the book is very uplifting and more edifying than most of the spiritual warfare portrayed. The romance, one of the main themes of the book, was too emotional, and, I agree, often too sensual. It weakened Nikki’s character significantly. Instead of worrying about the spiritual war she was battling in, she spends most of the time in the book playing with the romantic tension between her and two other Halflings. Her world seems to revolve around romance, and she derives her identity from it. This is a trend that shows up in a lot of young adult fiction, and I’m not sure it’s very healthy for young readers. Hayley: Not healthy at all for young readers! Also, it is not something that most readers can relate to, and encourages the assumption that it is perfectly normal for a young woman to have two impossibly attractive guys head-over-heals in love with her –I wish! (No, actually, I don’t!) Much more relatable is Nikki’s struggle with selfishness and her uncertainty about how prayer works; that is something readers can understand. Janie: Thanks, ladies! Now let’s look at the first volume in a brand-new series by debut author Robert Treskillard. This is Merlin’s Blade, a story that, as you might guess, builds on the King Arthur legends by portraying a pivotal clash between the old druidical paganism of early Britain and the new Christian faith. As the series opens young Merlin is an novice at a monastery, near a village in modern-day Cornwall. A mysterious stone fell from the sky 70 years earlier, and strange events involving the stone are now unfolding. Let’s start with Hayley this time. What impressed you most favorably about this book? In what ways is it similar to the many other Arthur re-tellings out there? Hayley: As an Anglophile, I love the setting of this book! Robert Treskillard has done an excellent job bringing early Britain to life. The adventure is exciting, the characters are interesting, and the suspense which remains until the end is very well done. Like other Arthurian re-tellings, the story involves magic and a certain element of darkness and is told in a series format. It is also a coming-of-age story, but this time instead of Arthur, it is Merlin who is growing up! Janie: Joseph, what do you see as the strongest elements in Merlin’s Blade? How well does it communicate a sense of time, place, and conflict? 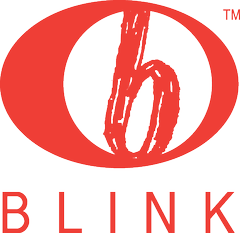 Also, do you think it achieves the purpose of the Blink imprint, in attracting non-Christian readers? Joseph: I think one of the strongest parts of Merlin’s Blade is character development. Every player in the story comes with a unique and often complex personality. Very few are simply black and white characters. They struggle with sin, or, as it is displayed in the story, the power of the druid stone. I really like that about the book. The author also does a great job setting the scene and historical context. He includes enough detail to give us a feel for Old Britain as it might have been in the early years after Christ. As far as attracting a non-Christian audience, I’m honestly not sure. For me, the parallels and images from Christianity seemed very apparent and easy to spot. But that’s coming from someone who grew up hearing Bible stories. A reader without my background might find the religious undertones much more subtle. Besides, the story itself is good enough to keep readers engaged, whether or not they appreciate the Christianity behind the plot. So I do think that readers, Christian or not, will enjoy reading this book. 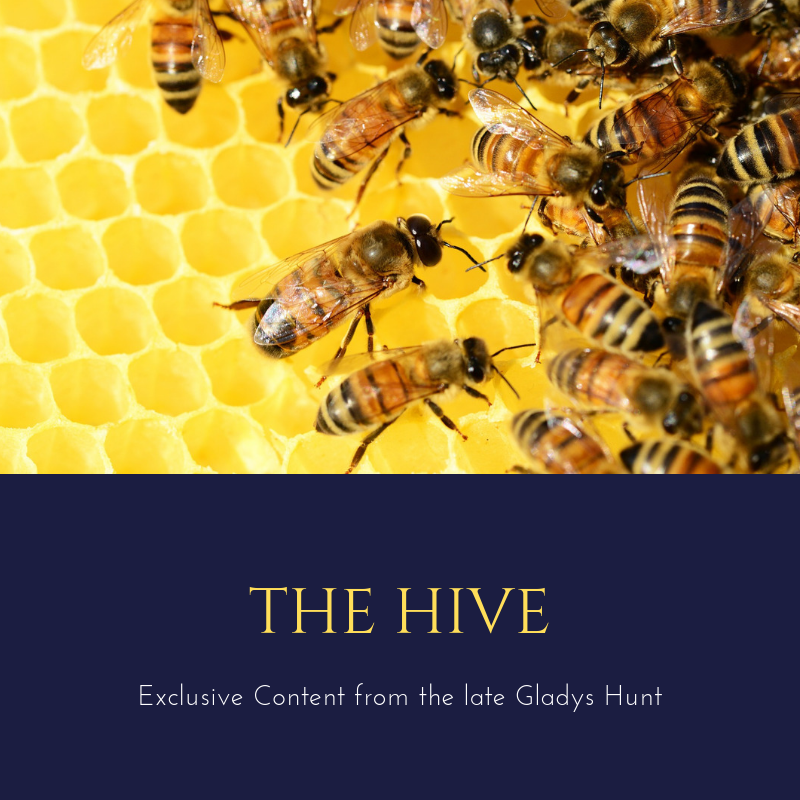 Hayley: I absolutely agree; this is a well-crafted story that will draw in both Christian and non-Christian readers. Something else I love about the characters is the interaction between characters. Take Merlin and his father, Owain. There is an awkwardness and a tension that is perfectly understandable considering Merlin’s adherence to the Christian faith. But, as the story continues, you can see the relationship changing. The father-son dynamic is refreshing in its honesty yet also its hope. So many books and readers today are lacking a father figure, and this book shows an honest picture of an earthly father as well as the hope derived from our heavenly Father. Joseph: Hayley, I agree absolutely about the relationship between Merlin and his father. The longing that Merlin feels to understand his father is something I think a lot of young readers can relate to. And the fact that Merlin and Owian work through their differences and regain a close bond is a wonderful example for us. Their relationship isn’t perfect by any means, but that simply makes it more realistic. Honestly, I think this is one of the strongest parts of the story. We see two characters, both wanting to do what is right but not knowing how, growing along side one another and helping each other discover the right course of action. Its a powerful example, laid out in fictional form, of how real life should work. Janie: Good points. 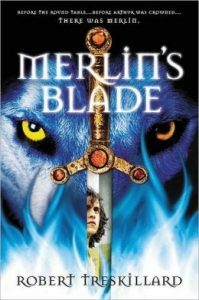 One more angle about Merlin’s Blade–the title character is blind. I thought it was a bold decision of the author’s to portray him that way, and I’m wondering why. Let’s ask him! (Check back next Wednesday for our interview with Robert Treskillard.) And let’s do another book discussion. Check back in a couple of weeks, when we hold another discussion about two new dystopian titles from Blink. Well written, guys! Thanks–you sound SO much more articulate and thoughtful than I was at your age. Thanks, Betsy; it was a fun discussion! I’m looking forward to part 2, when we’ll discuss Blink’s two dystopian novels. Next PostEnder’s Game Read Along: A Galactic Giveaway and Contest!